Mmm, ice cream. :) It's a well-known fact that anthro wolves have got a sweet tooth, so I indulged freely. 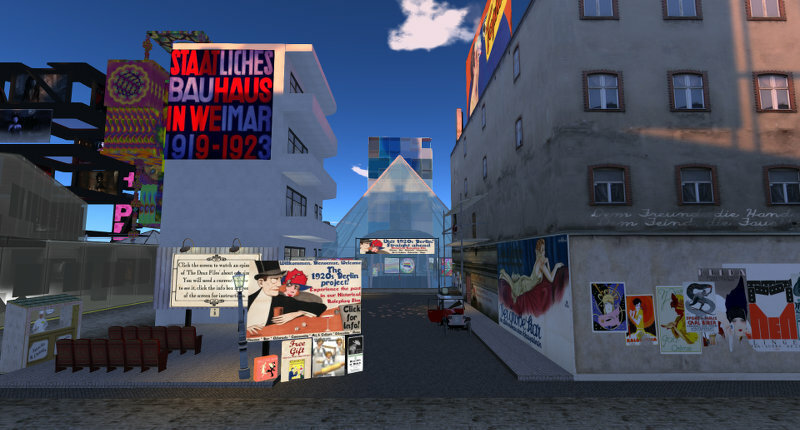 The other shot's of a neighboring exhibit, put up by a project that apparently aims to create an hommage to 1920s Berlin in Second Life. Interesting. These two shots were part of the same exhibit. I rather like the austere, cut-down style and the cool colors of the furniture displayed; the statues are also quite well-designed. 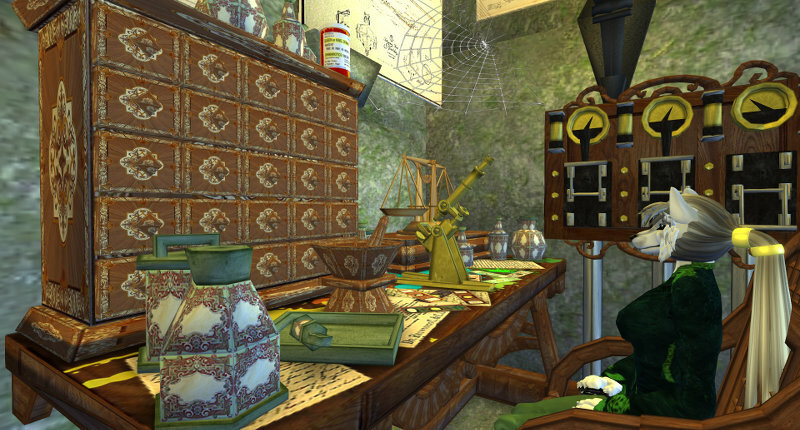 Three shots from a steampunk-ish "mad scientist's laboratory" exhibit. It was quite well-designed, but seemed to eschew rounded shapes in favor of sharp edges even on objects you'd not usually expect to have edges. 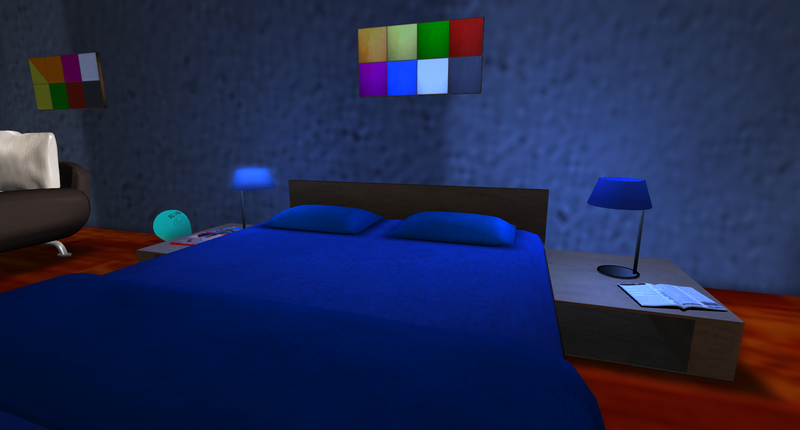 I'm not sure why, but perhaps it made texturing easier. 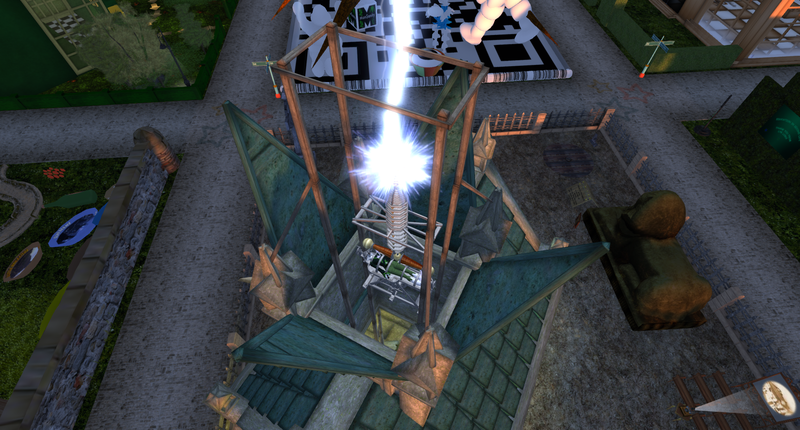 As you can see, I got zapped in the end in a Frankenstein's Monster manner, too. Fun times. 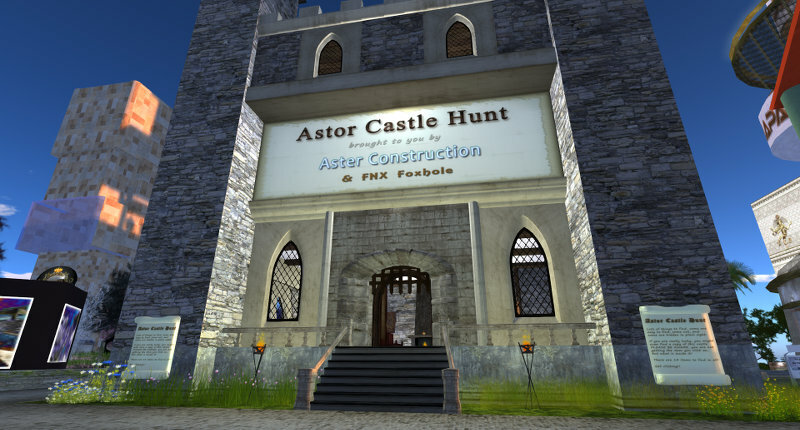 Two exterior shots — an exhibit called "Fractalicious" that taught you about how to create fractals, and a "castle hunt" game where you could find all sorts of stuff, including a free copy of the entire castle. 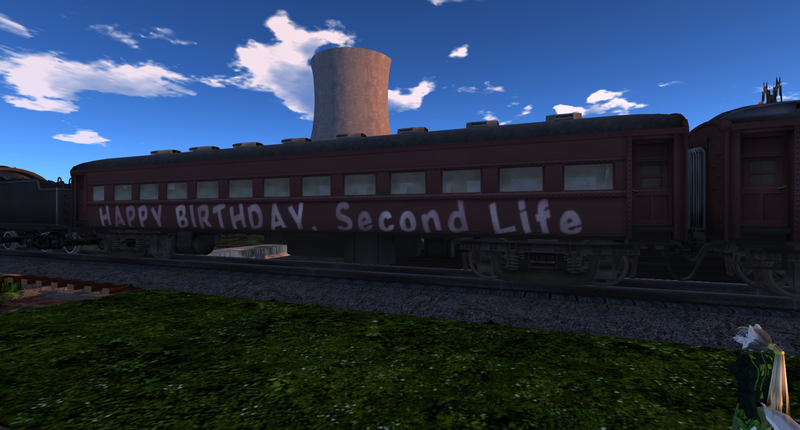 I didn't play, though — not enough time. Who knew that there were entire magazines dedicated to breedables? 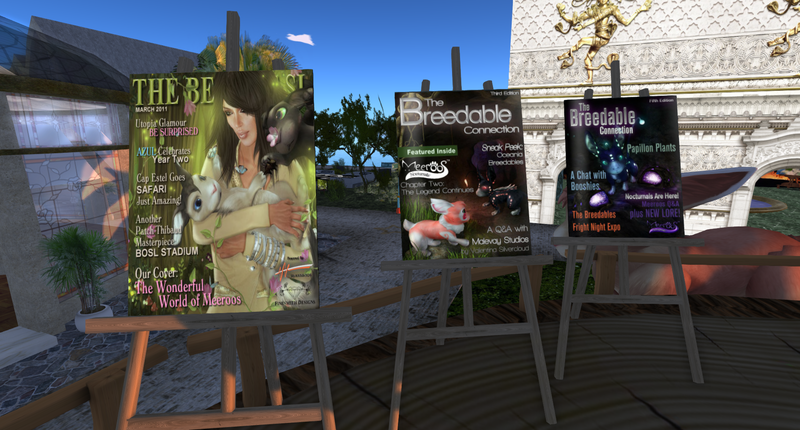 I'm amused — but not really surprised; breedables seem to be fairly popular. I'd be lying if I said I saw the point, and like so many things in life (second or not), they seem to be designed more to tap into psychological mechanisms, create needs where none existed before, and get people to spend their money, but hey — who am I to judge? As long as people enjoy them. 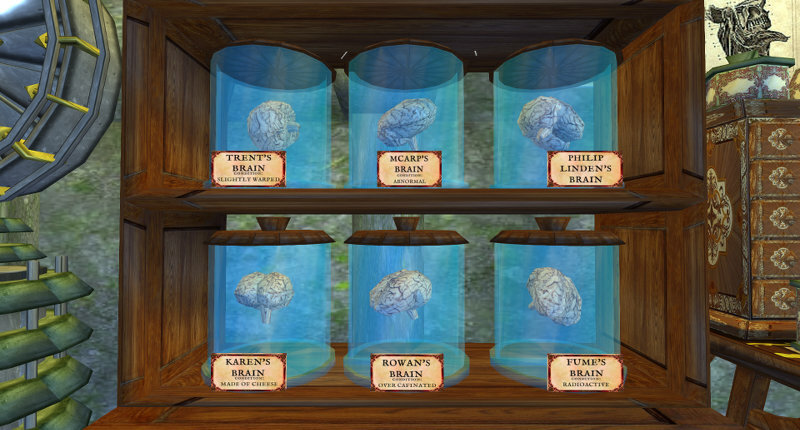 These two shots depict Evan Moonshine's Lepidoptera Museum, another exhibit I only had the briefest amount of time to visit, much less than I would've liked. It was just what it said on the tin: an exhibition of moths and butterflies. And I think that's it for now. Don't want to overwhelm you with too many shots at once!